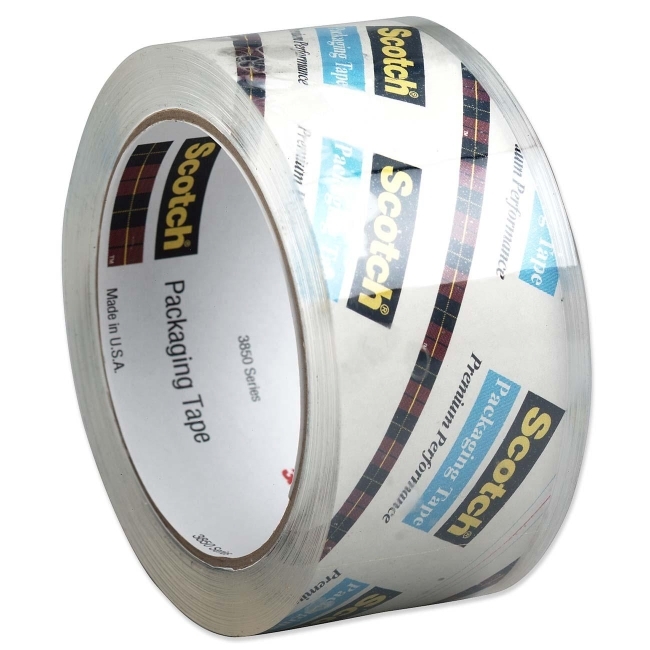 Tape refill is designed for use with 3M Scotch DP300-RD Hand Dispenser. Packaging tape is strongest "clear-to-the-core" packaging tape for protecting your heaviest packages during mailing, moving, and shipping. Adhesive is aggressive hot melt rubber resin. Instant adhesion provides immediate holding power, quickly securing package contents. Tape resists breakage for hassle-free application and performance during the most demanding applications. Packaging tape meets U.S. Postal regulations.